Even as a child, the singer, songwriter and rock star, Lenny Kravitz, was fascinated by cameras. But rather than taking photos, he played with them and he never lost that fascination with them. Later in life, photographers he knew, renewed Kravitz’ acquaintance with cameras – with a Leica. But now, he was already an artist with curiosity and a particular talent for observing the world around him. Kravitz’ design, in the form of a classic reportage camera, is an homage to his first Leica. Lenny Kravitz is famous around the world as an exceptional and very successful musician. But he treats photography with his Leica with exactly the same passion. The Leica M-P ‘Correspondent’, a desirable collector’s piece in the style of legendary reportage cameras, was created in collaboration with the artist. Thanks to deliberate, carefully executed wearing by hand, it appears as if it had been in constant use for decades and would have countless stories to tell. The Correspondent MP is, unfortunately, another exhibit in favor of the argument that Leica has become a company in the business of retailing luxury goods to foolish people with stupid money. Granted, Leica remains a solidly profitable company. They seem to be doing very well financially, and, of course, that’s the raison d’etre of any business. I’m certain this makes Leica’s owners and management happy. But I can’t help but see it as a symptom of a larger problem, sort of a proverbial dead canary in the Leica corporate mine shaft. Leica now produces little of interest to its traditional base, photographers who used Leicas as real working tools for many years. We are no longer Leica’s target demographic. Which is odd, because Leica has the ability to make whatever they choose to make, at a high quality level, and yet many would say they’ve abandoned what made them an iconic name to make a quick buck recycling nostalgia. In spite of currently producing innovative cameras like the MM and the S, Leica is increasingly becoming perceived as a boutique luxury goods company, trading on the cache of a brand made famous over decades by having produced top quality mechanical instruments. 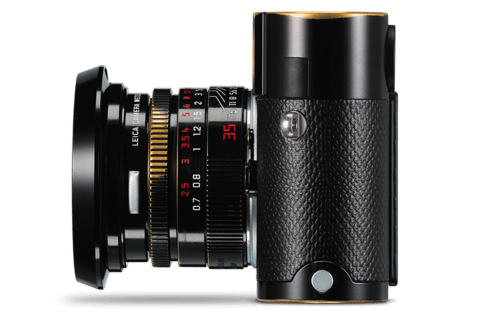 It is increasingly difficult for Leica traditionalists to consider a new Leica as a camera we would want to own. 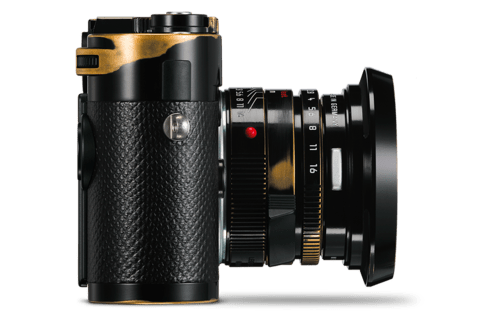 Granted, Leica will have no trouble selling them to someone, and to the degree it funds development of new, innovative cameras, these sorts of frivolities for the moneyed class may be a necessary compromise for Leica. Admittedly, collector editions have been part of Leica’s DNA since the 1920s. The problem is that it seems that’s all they’re doing these days. 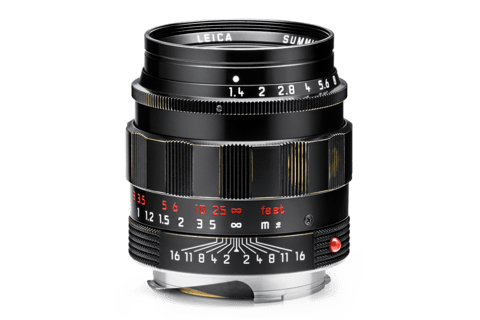 As time passes and the underlying foundation for Leica’s revered reputation retreats in collective photographic memory, Leica are in danger of irreparably diluting the perception of the brand, which even now remains their strongest asset. Hopefully, Leica understands that it is not a big jump from easy profits to complete irrelevancy. When your viability as a company becomes completely dependent upon the perception of your brand, there’s no going back once that perception is irrevocably compromised. This entry was posted in Black Paint Leica, Collectible Leicas, Famous Leica Users and tagged Correspondent MP, Leica MP on February 26, 2015 by Leicaphila.